Who said fifty plus fashion had to be drab and boring? Here at Kit and Kaboodal, we’ve got a huge new range of designs for you to explore that will see you through this year in style. If you’re in need of a wardrobe overhaul, we say out with the old and in with the new! There’s no better time than the New Year to give your style a pick-me-up and discover new go-to outfits. From new dresses to tops and tunics, we’ve picked out our top five fashion picks for all ages to style this year. If you’re looking to add some colour into your wardrobe, look no further! Our cowl-neck Cadney tunics come in several eye-catching shades ideal for brightening up your style throughout the year. 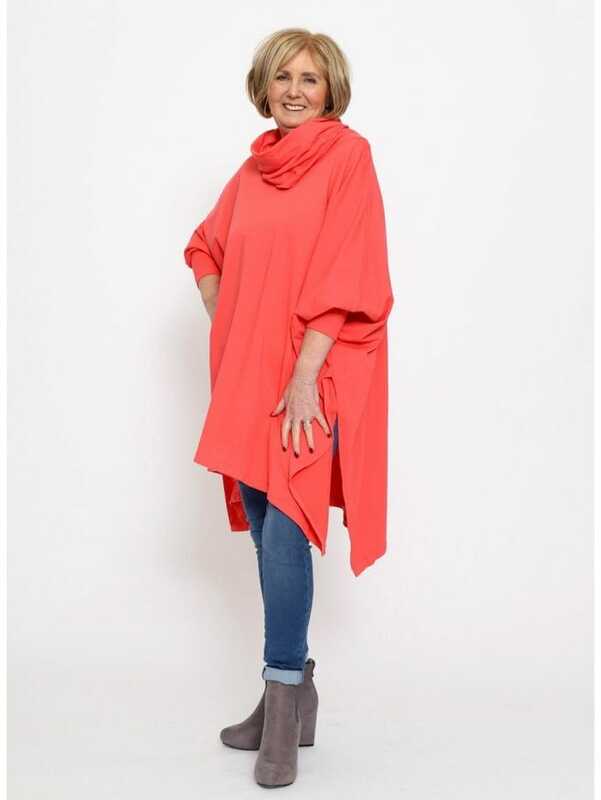 We love our coral coloured Cadney tunic and, as Pantone has revealed the colour of 2019 is Living Coral, it’s the perfect choice for working this year’s fashion trend. Whichever colour you opt for, the cosy cowl-neck and long sleeves make the Cadney a perfect choice for both winter and the transitional seasons of spring and autumn. 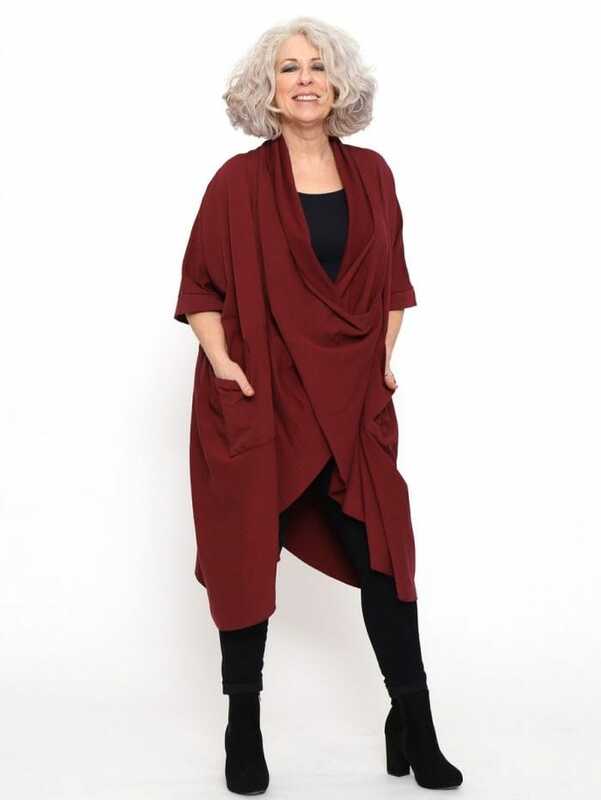 Chic, bright and stylish, it’s a must-have when it comes to fifty plus fashion too. Pair with jeans and boots to complete the look! Our next fashion pick has to be our cosy cotton Tarset dress. Chic and comfortable, the Tarset is the perfect dress for a casual everyday look or even a dressed-down work outfit. Look effortlessly stylish in classic black or opt for a pretty denim blue to add some brighter colour, ready for the new warmer seasons. 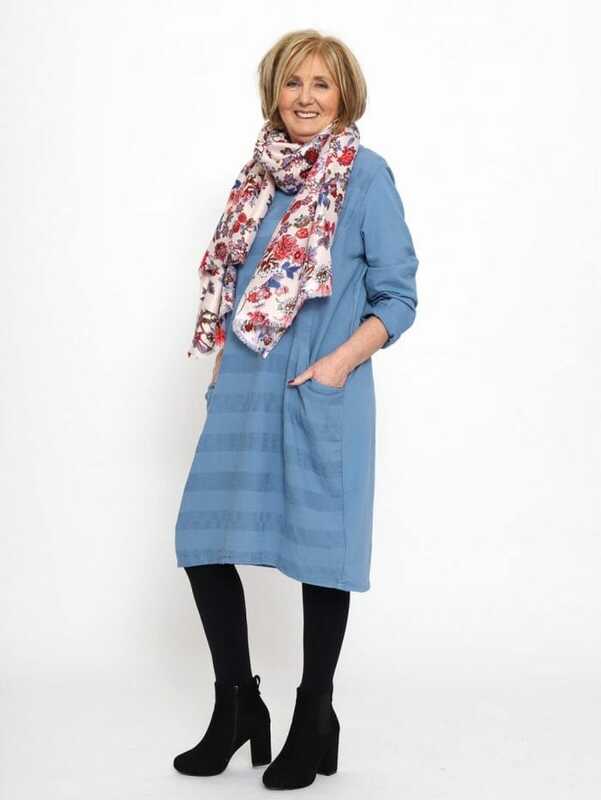 With its long sleeves and knee-length design, the Tarset dress is incredibly flattering and versatile to wear, ideal for layering up in winter over leggings or jeans and transitioning into spring with a pretty floral scarf! Elegant, sophisticated and stylish, our Glynn twist tunics are one of our favourite fashion picks. Aptly named, the Glynn is a twist on the classic tunic style, featuring ¾ length sleeves, a twist front design and cross-over back. Perfect for layering over jeans or leggings, it’s a versatile option for casual weekend style or dressing up for a smart evening out. We love this stunning wine colour for adding warmth and a touch of glamour to your outfit. Pair with your favourite heeled boots, a layering necklace and little bag to finish the stunning look. Perfect for spring, our beautiful Carlisle tops feature a floral light-knit layer over a chic white undershirt. With its rolled up sleeve design and pretty pattern, the Carlisle top is sophisticated and feminine and comes in a range of light and bright colours like this stone design. 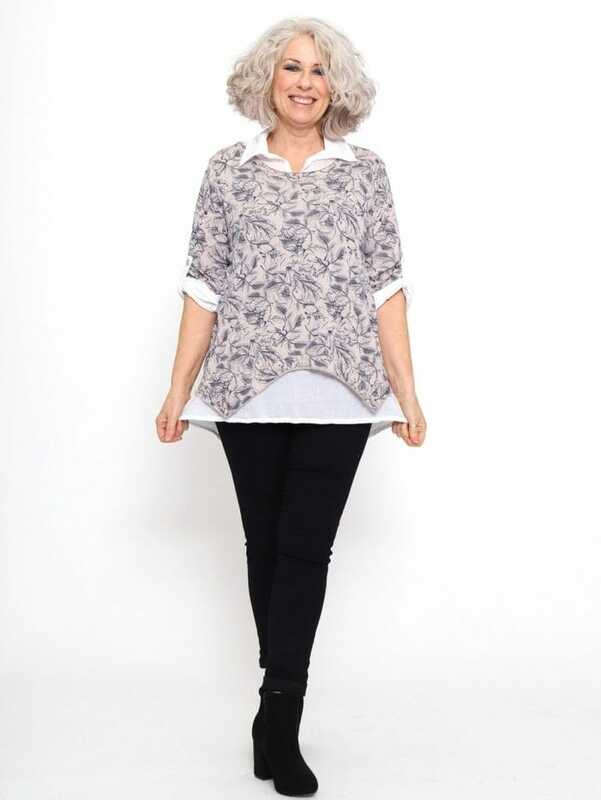 We particularly love the split back on our layered Carlisle tops, which adds another stylish flair to the look! Easy to wear on any occasion, our Carlisle top looks great dressed down at the weekend and the collared shirt element also makes a great option for your casual workwear wardrobe too. Last but definitely not least is our gorgeous Lanton dress collection. The perfect dress for year-round style, the Lanton comes in a range of chic colours for you to style every season. We think this lovely lilac Lanton is ideal for adding a pretty pop of colour in your wardrobe! One of the best things about the Lanton design is its versatility; the design looks great paired with jeans, leggings or on its own in warmer weather. To take your look from day to night with ease, the Lanton dress looks amazing layered over one of our petticoats too! Here at Kit and Kaboodal, we think fashion should help you to look and feel your best. 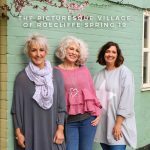 Our clothing caters all shapes and sizes and ages, making it a great choice for fifty plus fashion too. Whichever one of our fashion picks you choose, you’re guaranteed to find something you love. Inspired by our picks? Let us know how you styled your dresses, tops and tunics!